The facility department is dedicated to providing quality customer service to the students and staff, continually striving to meet the expectation of creating a conducive learning environment by addressing the needs of the building and grounds. Our skilled and dedicated professional employees challenge themselves to achieve this goal. We are committed to our students and staff to ensure our facilities are in compliance with the laws, regulations, and policies that govern building maintenance and construction. It is our firm belief that through this support of the educational programs in our district, we are providing the best possible experience for our students. If you have questions or need assistance, please feel free to contact our facilities management staff below. 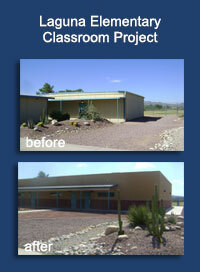 FWUSD has implemented both policy and practice opportunities, which follow a district-wide Energy Conservation Program. For further information, please view our Energy Conservation Project.